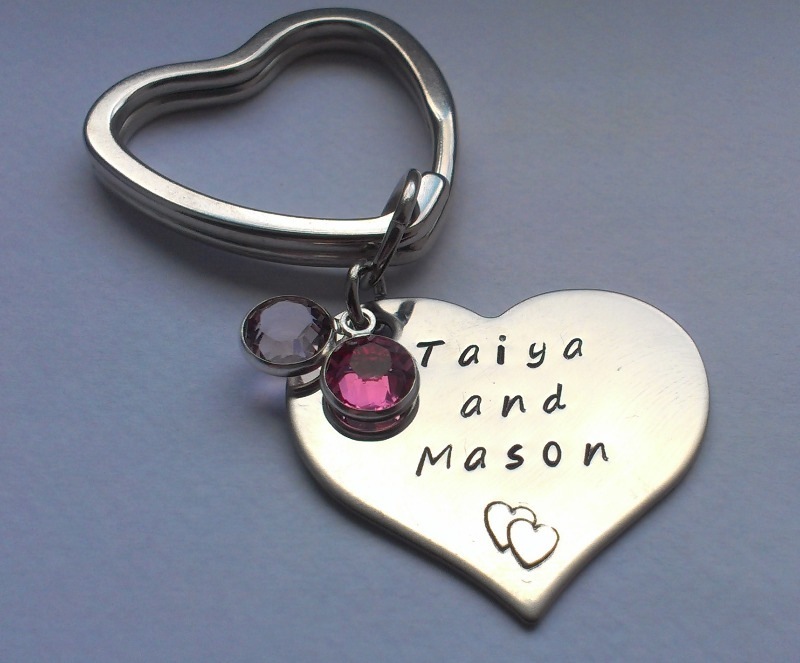 This is a stainless steel heart keyring which measures 32x25mm. You can have any names, dates or messages stamped on it. You can also add swarovski crystal birthstones if you would like, and you can choose to have a round, heart or a star split ring.